In an emergency such as an earthquake, tsunami or major storm, there may be only one way to communicate with the outside world. With power out, roads blocked and telephone or computer access disconnected, a network of amateur ham radio operators could provide the main lifeline between the isolated coast and the rest of Western Washington. 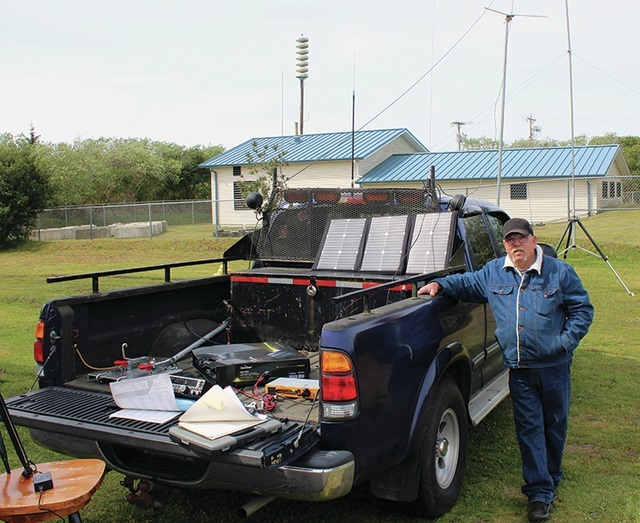 Over this past weekend, a group from Grays Harbor Amateur Radio demonstrated how they could quickly communicate across the globe, setting up mobile operations at the Ocean Shores Fire Department’s South Station on Marine View Drive.